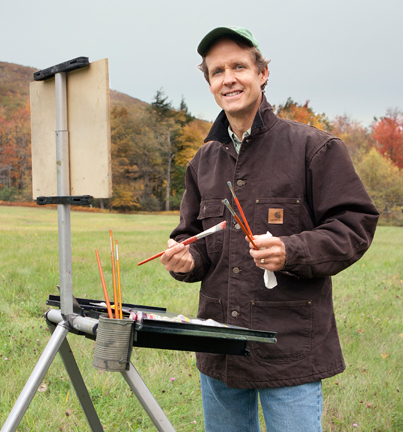 “John is very passionate about his painting. 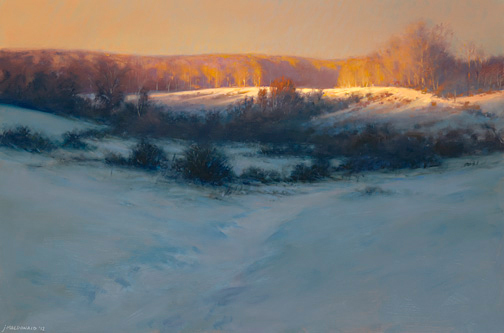 His teaching about value and composition suddenly awakens me as I had never learnt painting so structurally yet simply. A great teacher. 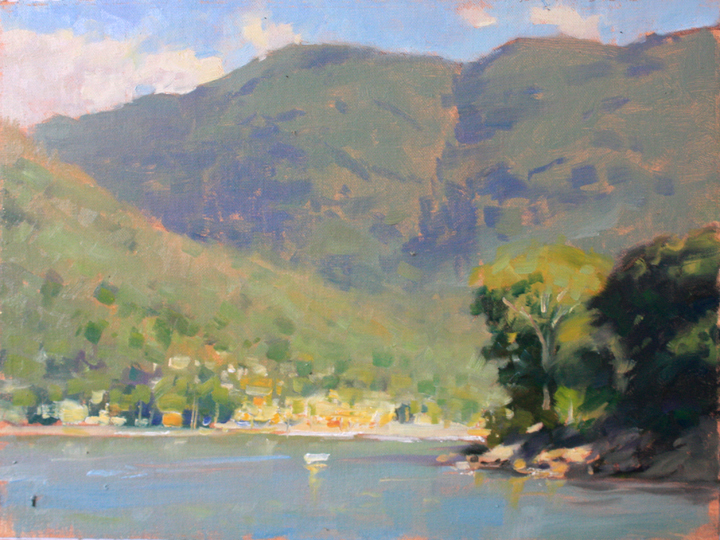 Imagine the best art workshop vacation of your life: Painting in a charming fishing village and other exotic locals along the gorgeous Pacific coast of Mexico , with master artist – workshop leader John MacDonald! Immerse yourself in the joys of authentic Mexican village life at one of the most beautiful and arts oriented locales in Latin America, Casa de los Artistas, in the safe and serene village of Boca de Tomatlan, 10 miles south of Puerto Vallarta. Arrange to arrive Saturday the 4th of February from noon on, at Puerto Vallarta International Airport, and taxi to Boca by 2pm on, (we arrange taxis to share back to the airport the following Saturday, cost is about $10. to $30 depending on how many share a taxi, see our FAQ’s for details). 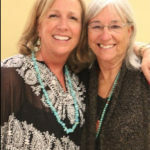 You will be shown to your private room, with balcony and wonderful views, settle in, refresh yourself – breath in the unique environment of the Boca and then, in the late afternoon, join other participants on the second floor of the Casa in the main dining and living area for a snack and to meet and greet one another. We will have a short orientation and then at approximately 6:30 we will cross the river to have dinner at Ramones’ Hauchinango (“Red Snapper”) Restaurant, (this is a fishing village after all, though there are many other things on the menu as well, to accommodate all varieties of diets). We dine on the beach with our feet in the sand as we become acquainted with one another and watch the sunset over the magnificent Bay of Banderas, waves lapping on the shore just a few yards away. Breakfasts (approx. 8:15 to 9am) and Lunch (1pm.) are prepared by our wonderful Mexican Chef Ruby and her assistant. These meals are served on the main floor of the Casa in the large dinning / living area and consists of a variety of healthful and delicious lacto ovo vegetarian fare. Always available are, coffee, tea, fresh fruits and juices, cereals, granola, peanut butter, jelly, cheese and milk. These are complimented by such things as pancakes with maple syrup (we are from Massachusetts) fresh breads and cheeses as well as traditional Mexican dishes like chiliquilles or huevos rancheros. Please let us know if you have any specific dietary restrictions. 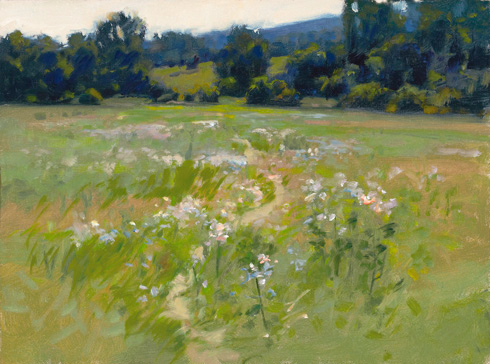 From approximately 9:15 -9:30am till – 1- 1:30 we will work in the studio or plein air. Another gourmet meal is prepared and served by the Casa chef Ruby and her assistant at approx. 1 -1:30 and after lunch is siesta till approximately 3 -3:30pm. This is your time, – work in the studio if you like or engage yourself in one of the myriad of additional activities available to you at the Casa, (see below). 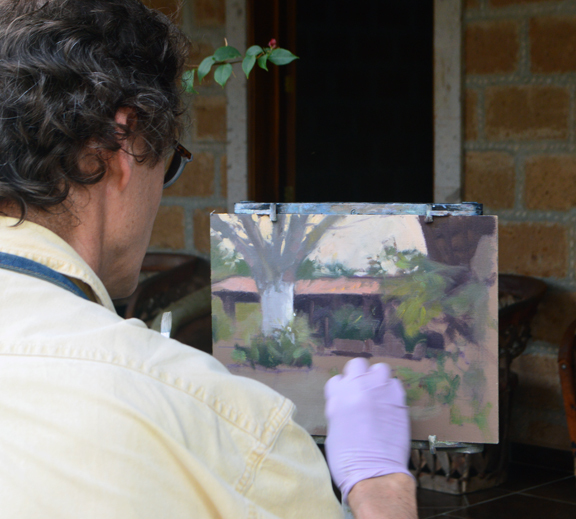 In the afternoon sessions, John will give individual, in depth help to each artist at their easel. 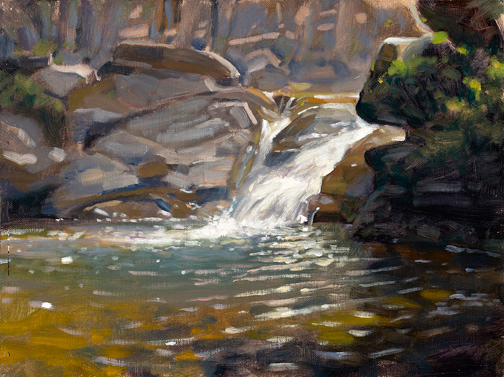 This workshop will be an intensively rewarding and meaningful experience of study and painting with Master Artist John MacDonald. 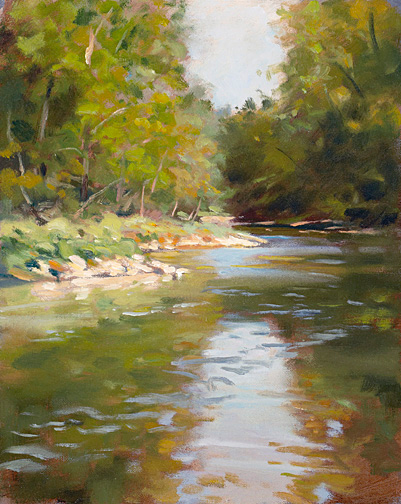 The workshop is geared toward all levels of student/artist of the landscape, who work in oils. For your convenience, the Casa studio is open 24 hours. You are urged to come in early, before breakfast if you like. 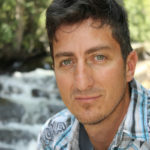 The morning demonstrations by John will begin right after breakfast, (approximately 9:30). 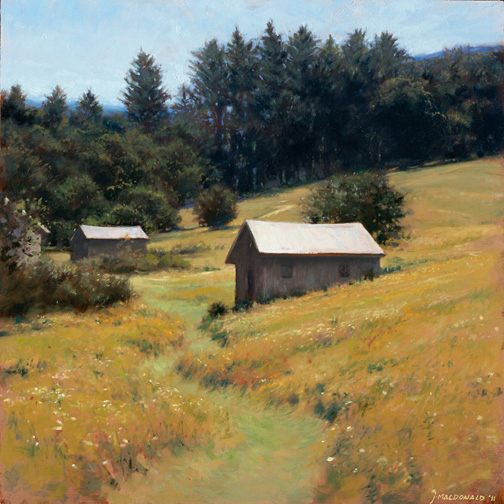 This class will take participants through the entire process of creating strong landscape paintings: from building effective compositions to working tonality, color and finishing with sensitively chosen details. 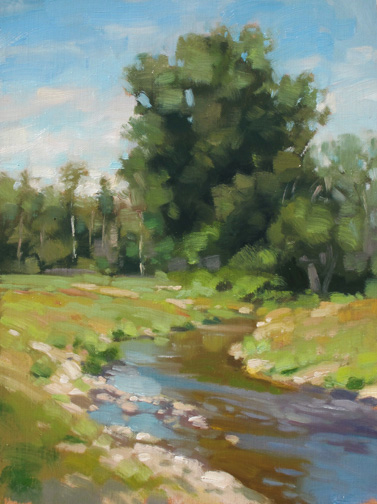 Following a traditional 19th century painting process focusing on the landscape, participants will hone their observational skills while coming to a clearer understanding of how a successful landscape painting is structured. 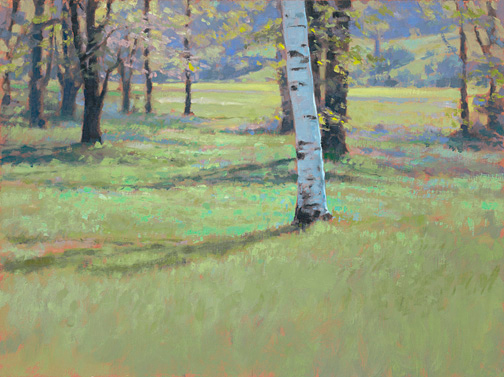 An emphasis will be placed on proper seeing–looking closely at the existing color and tonal relationships–and then onto understanding and manipulating what is seen. We will be working with the basic elements of painting, seeing them anew and in ways that can improve the craft of your painting. 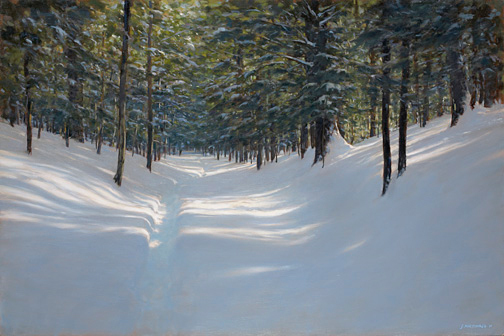 Through daily demonstrations and individual critiques and instruction, participants will be encourage to assimilate what is learned in class with their existing techniques and artistic vision. 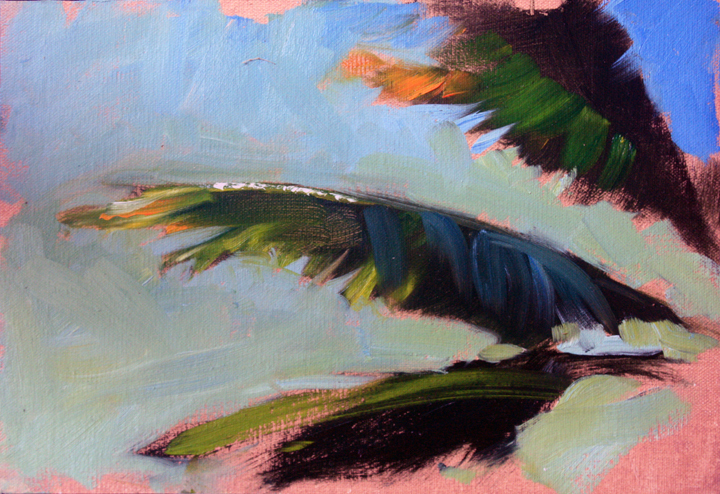 Besides working with painting techiniques, we’ll also look at much broader issues of painting and art–how to deal with our mistakes and so-called failures, how to identify and manage our fears and lack of confidence, and how we can structure our lives as artists that can lead us to being more productive, creative, and joyful. 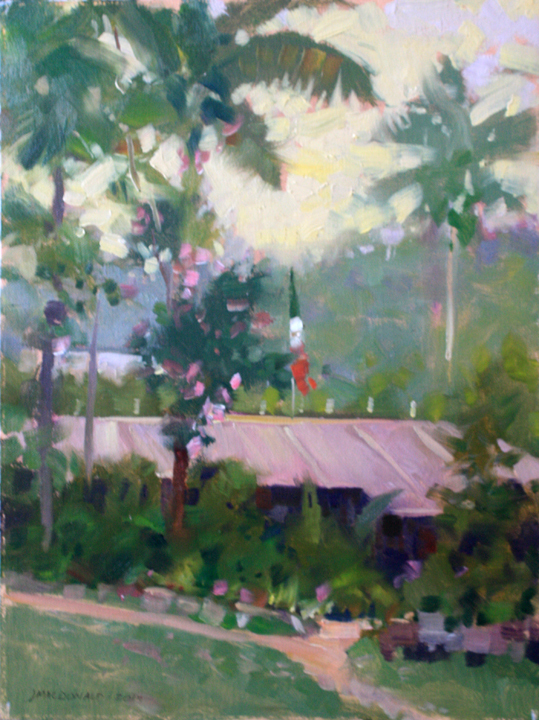 painting to the next level, spend a week relaxing in the tropics, learning and having fun with one of the great contemporary painting masters – sign up now! – See our What’s Included section of this website for full details. Workshop fee does not include round trip airfare from your city to Puerto Vallarta International Airport, expenses for personal items and gratuities for the Casa cooks and house care persons. – See our What’s Included section of this website for full details.